Sofa Leather & Upholstery Dry, Steam Cleaning Camden NW | Quality Property Care Ltd. Domestic and commercial upholstery cleaning in Camden NW! 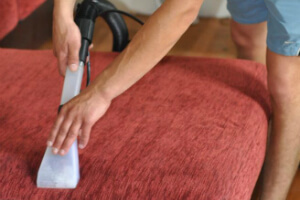 Do not wait to rely on our well-trained, expert and tested upholstery cleaners. Call Quality Property Care Ltd. company on 020 3746 4287 right away to reach our customer care representatives. Our residential and commercial upholstery cleaning services are accessible 365 days per year - with no exception for holidays or weekends! Purchase more than one service and get a discount! If you order upholstery cleaning in Camden NW from Quality Property Care Ltd. and another service you will receive a unique discount. We recommend you take benefits of mattress cleaning + bed bug mattress. Your bed hygiene is as important as your home sofa cleanliness and perfect look. The mattress procedure destroys and removes bacteria, dust mites, fungal spores and other harmful debris. It works with intensity ultra-violet light, and all dust and debris are gone. Be sure that we remove dust allergies for healthy measure of safety, because it can cause runny nose, asthma, depression, headaches, eczema and itchy eyes. Mattress cleaning offer is suitable for hospitals, hotels, hostels and everything that has beds. Leather requires special care when being handled, especially because there is no turning back one a mistake has been made. This is why we employ the finest leather cleaning experts in the field to manage and produce safe, satisfactory results each time. This service can complete several tasks at once, not only remove a wide range of stains from a sensitive leather couch, but also fill cracks with a corresponding colour of the leather, clean mat leather, perform leather rejuvenation and use foam to properly remove heavy stains on almost any leather type. The cleaning of the leather starts with the application of a rejuvenating agent which opens the pores of the materials making it simpler for us extract any dirt. It also makes the leather softer and prevents it from cracking during the cleaning and in the future. Once the leather is ready we use a foaming agent which acts as a magnet for any of the filth that has been imbedded into the pores of the material. On one side we are able to not only remove deeply imbedded filth, but are also able to extract old and new stains alike without damaging the leather itself. For filling up any existing cracks we use a specialised filler which matches the colour of the leather upholstery, hiding away any unsightly areas. Once all dirt and stains have been extracted we use a cloth to remove any moisture from the leather to prevent it from bleeding into your clothes. With this service we provide a professional upholstery and sofa treatment and cleaning, to only sofas and sofa upholsteries, but also a wide range of materials and furniture types. Starting from synthetic and woolen materials, to cotton, linen, silk, viscous, kashmir, organic fiber, sued, chenille, nubuck, acrylic, leather, leather we can clean quite a lot, and do it in a way that suits the individual materials in each upholstery to achieve the finest results. In terms of sofas we can clean couch or settee, loveseat, traditional sofa, convertible sofa, divan, sectional sofa, sectional bed, sleeper sofas, hide-a-bed and couch bed. Choose Quality Property Care Ltd. Upholstery Cleaning and Get Special Price! Our customer service team is available, ready to accommodate all of your needs and address any cleaning or booking concerns you might have. Use the booking form at any time to get an immediate booking or get an answer quick, free of charge and with no delay. To book Quality Property Care Ltd. professional sofa and upholstery cleaning service in Camden NW, give us a call at 020 3746 4287.